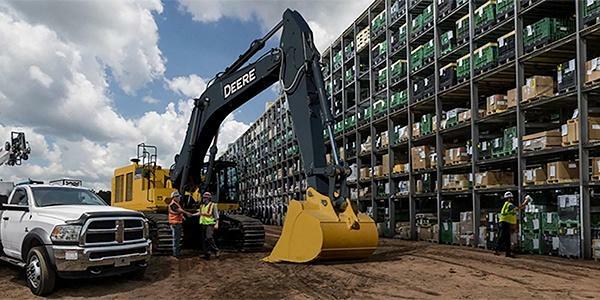 Papé offers the largest heavy equipment parts inventory in the West. You’re sure to find what you need among our selection of 15+ million OEM and aftermarket parts. Plus, we have dozens of parts counter professionals averaging 20 years of experience to ensure you’ll be able to get the parts you need, when you need them. Interested in gaining access to our equipment parts portal? Contact your Papé Machinery Construction & Forestry sales rep to get started. 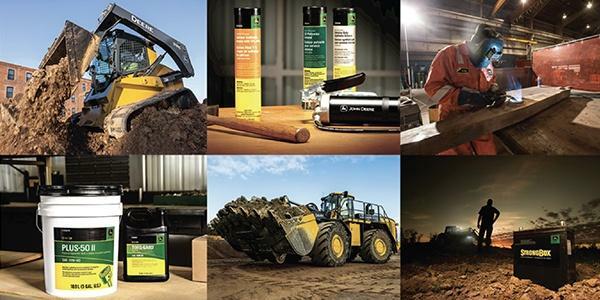 Since 1837, John Deere has provided high-quality equipment parts and machinery to loggers, builders, and more. That’s why we choose them as our trusted partner to offer a wide selection of construction and forestry equipment parts to our customers. Not sure what you need? Find your nearest Papé Machinery Construction & Forestry location and call our equipment specialists for expert assistance in ordering the right parts for your business. Choose to make payments over time with a Balance Forward account, or pay by invoice with Open Item Billing. There's no interest on balances paid in full each month and no annual fees. All your monthly charges are consolidated on a single statement and itemized by dealer. Failed and other critical parts replaced with OEM parts, inspected, 100% dynamically tested to original performance criteria. Includes a John Deere-supported warranty.